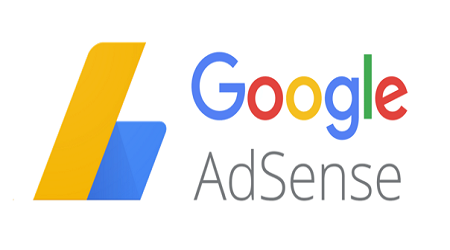 AdSense is an advertising program that allows publishers to insert HTML code into their websites and make the ads appear that are relevant to the content of their sites. AdSense is the easiest way to start making money with their websites. You just have to add the code into your site and the AdSense spiders starts crawling your site to see you site contents and displays related advertisements in your site. In order to activate AdSense you just have to follow the following steps and I have explained it clearly step by step. (3) Verify your phone number. Connect your site and copy the code from your AdSense homepage and paste that code into the HTML of your page right after the ‘head’ tag. Add your AdSense code to all pages on which you want to show ads. It is important to note that the website editor you use will affect how you go about this step. When you’re finished, check the box and click ‘Done’. You will need to provide an address so you can receive your payments. Enter your address and your full name as it appears on your banking information. This information is crucial to receive your payments without any problems, so make sure that your name and address are accurate. "Phone number verification is not required in all countries but if it is required for you, you will see a prompt on your AdSense homepage." Verification of phone numbers is not required for all countries except some of the countries and if it is required you will see a prompt on your AdSense homepage. Enter the phone number you want to verify here. If you have previously verified a phone number for Google, you will see your number listed in the “Phone number” field. Choose to use phone number for AdSense and skip the rest of the phone verification process. If this isn’t the case for you, choose whether you’d like to receive your verification code by text or voice call and click ‘Get verification code’. On the next page, enter the 6-digit verification code that you received from us and click ‘Submit‘. “This usually takes less than a day but may take longer” We’ll let you know when your account is fully activated so you can get started monetizing your site. When you AdSense account is fully activated your AdSense hompage will look as below figure and you can check your “My ads, allow & block your ads, see performance reports, etc.